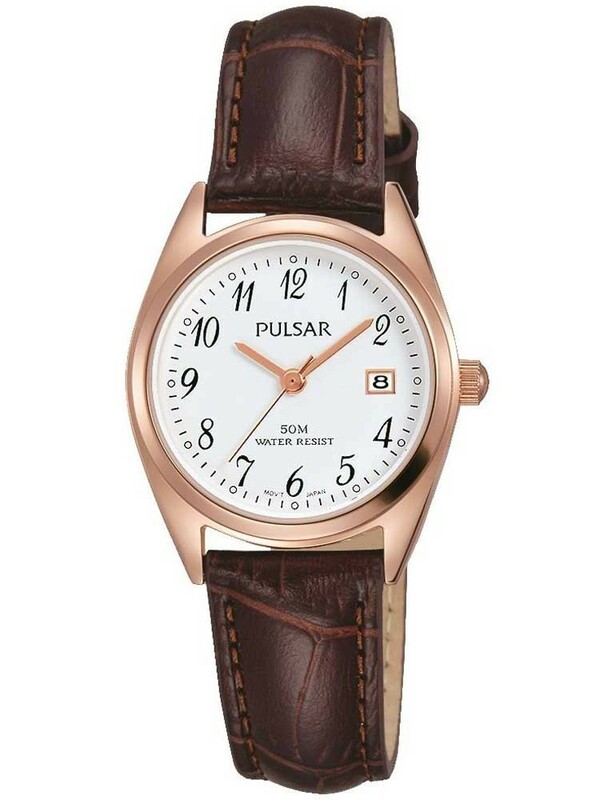 Bring an on trend rose gold glow to your outfits with this classic Pulsar strap watch that makes a great everyday wear. 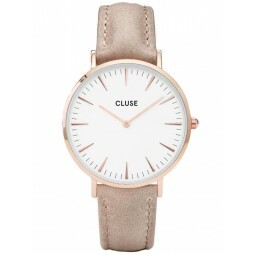 The rose gold plated case houses a round white dial, featuring full figures, elegant hands and date window for extra functionality. 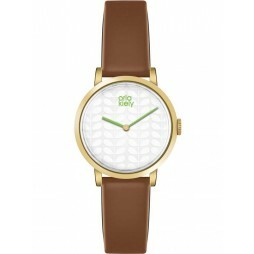 Finished with a comfortable brown leather strap and traditional buckle closure.